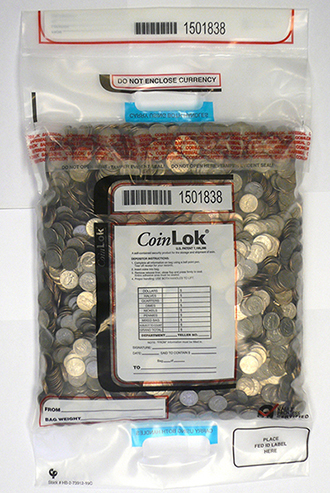 "Deposit Bag 14.5'' X 25'' CoinLok, clear w/dual handle" product is already in your cart. This 14.5" x 25" CoinLok deposit bag available in high performance clear film, includes dual triple ply reinforced die-cut handles for increased operator comfort and safety. Designed for simple one time use this 14.5" x 25" deposit bag will hold up to 50 Ibs of coin.